We are providing a new lens and one that brings better focus and hence deeper understanding to an issue of serious concern—the dearth of venture-backed technology IPOs. I recently read an analysis that brought together several important industry trends. On the one hand, there’s nothing in it that the public didn’t already “know”. On the other, the analysis provides a new lens and one that brings better focus and hence deeper understanding to an issue of serious concern—the dearth of venture-backed technology IPOs. The analysis in question was published earlier this month in a paper titled: The Deregulation of the Private Equity Market and the Decline of IPOs. Written by Michael Ewens of Caltech and Joan Farre-Mensa of Cornerstone Research, the paper spans 50-something pages. Its scope is broad, taking on multiple questions related to the rise and decline of the IPO market over the past three decades. Importantly, it uses academic rigor to rule out some hypotheses that are reasonably widely held, and supplies data that support long held intuitions. It remains to be seen if other researchers can reproduce their results, but for now it’s enough that they have brought academic rigor to the exploration of various conventional wisdoms. It’s a nice piece of work. 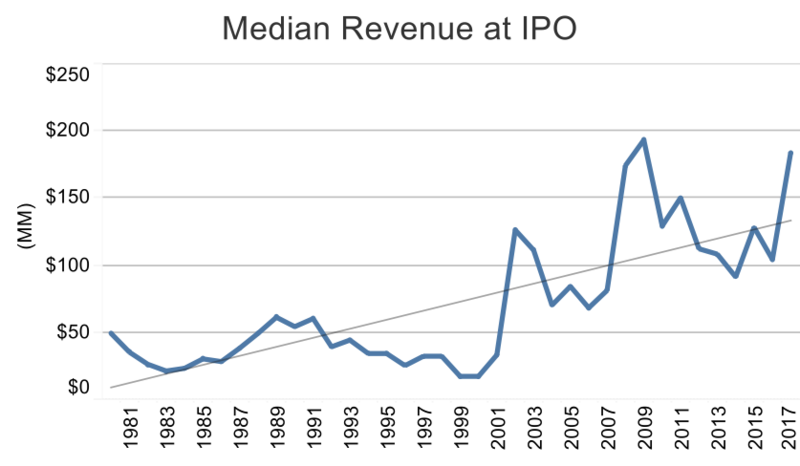 Particularly interesting is their analysis of the IPO market’s ups and downs. Conventional wisdom for many years was that the IPO window opened and shut in rough synchrony with the stock market. A quick glance at the last ten years in the chart below puts that notion to bed. The quants in the audience will be interested to know that the correlation between IPO proceeds and the S&P since 2009 has been -.1 – in other words, uncorrelated. Sic transit conventional wisdom circa 2009. A common explanation for the post 2008 dearth of IPOs during a strong bull market involves regulatory changes such as the 2002 Sarbanes Oxley and 2010 Dodd Frank bills. It makes sense. The laws do impose incremental burdens and make it more difficult for companies, particularly smaller companies, to go public and to operate as public companies. On the other hand, the issuer friendly JOBS act of 2012 partially mitigated these increased regulatory hurdles. In any event, the chart below clearly shows a strong trend: the companies that do go public are substantially larger than they used to be. Using a statistical analysis beyond the scope of this blog, the authors rule out regulatory change as the chief driver. For the sake of argument, let’s stipulate their findings. But if conventional wisdom is wrong and an avalanche of new regulation was not the primary reason there have been so few IPOs, what is? First, let’s put the effect into context. 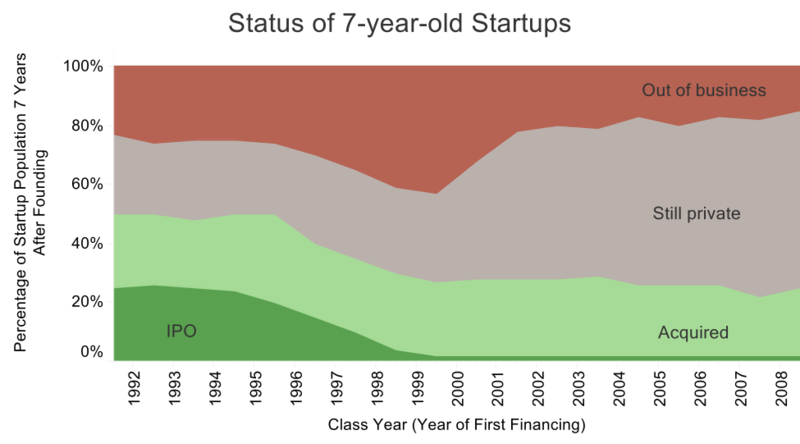 The chart below summarizes the fate of companies started in various class years dating back to 1992. Those fates are measured 7 years from the year of formation, so the chart shows the fate of the class of 1994 as of 2001, the fate of the class of 2009 as of 2016, etc. M&A exits have been surprisingly steady, but IPOs have almost vanished. Close to 60% of the companies from the class of 2009 were still private in 2016, roughly double the comparable figure from 20 years earlier. Rather than leave us with this unexplained mystery, the authors suggest an answer. Supported by data, of course. The next chart gives it away. This one’s not hard to read. 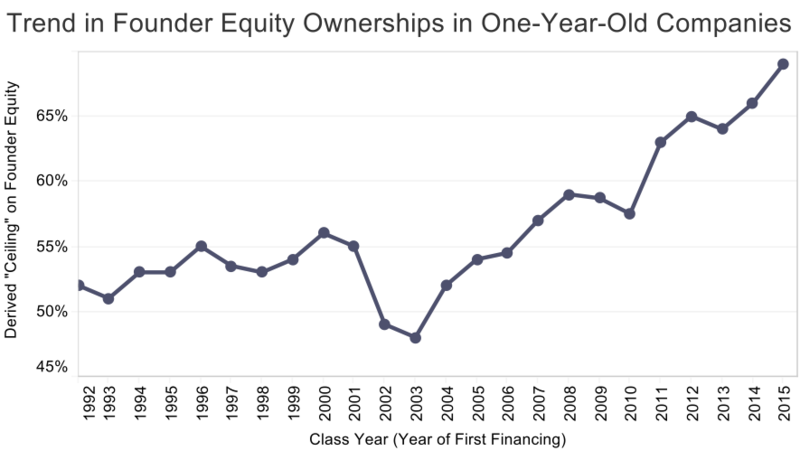 The percentage of equity held by the founders has soared since the early 2000s. Now the chart has to be taken with a grain of salt as the data points represent a derived ceiling rather than an actual, but the trend is unmistakable. 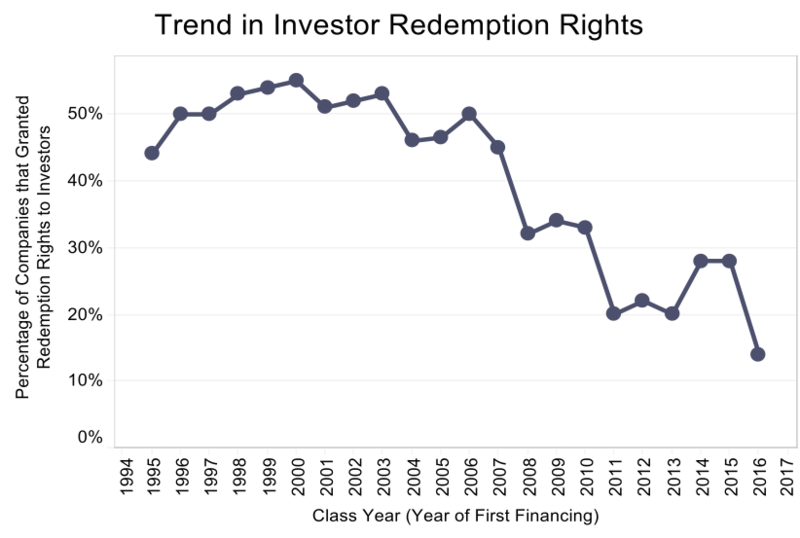 A similar chart showing the proportion of companies that had granted investor friendly redemption rights shows a similar investor unfriendly trend. 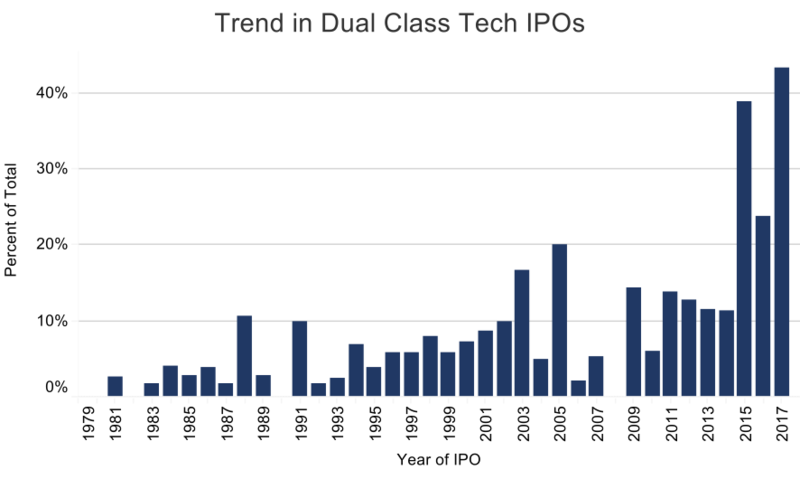 Finally, a chart from the ubiquitous Jay Ritter, showing the rise of dual class shares. On the one hand, it’s superfluous, as these are companies that are already public. On the other hand, it does bespeak a certain mentality that is embedded among founders. ‍One big trend of the last decade was the ability to start companies on tiny amounts of capital. An obvious, but underexplored corollary was that early stage investors often ended up owning smaller equity stakes. We already know the upside of this trend – some winning companies produced hundred and even thousand baggers for early investors. So small initial ownership is not always a problem from a return perspective, nor is it a problem for early stage investors who never expected control. Moreover, we believe company founders and employees should be well rewarded for their effort and risk. But all of these factors set the stage for a crucial shift in the governance dynamic down the road. ‍The rise of the “founder friendly” investor. In the presence of abundant capital, many founders had their choice of investors and being “founder friendly” was one way VCs competed for deals. All things being equal, some founders chose VCs who they thought would be inclined to “side” with management. Siding with management sometimes took the form of less equity ownership and much weaker governance protections for investors. ‍With less equity allocated to the early investors, founder and management team ownership going into expansion rounds was relatively high. High enough that even as a group, investors remained the minority owners - with the long-term implication that the founders control the fate of the company indefinitely. 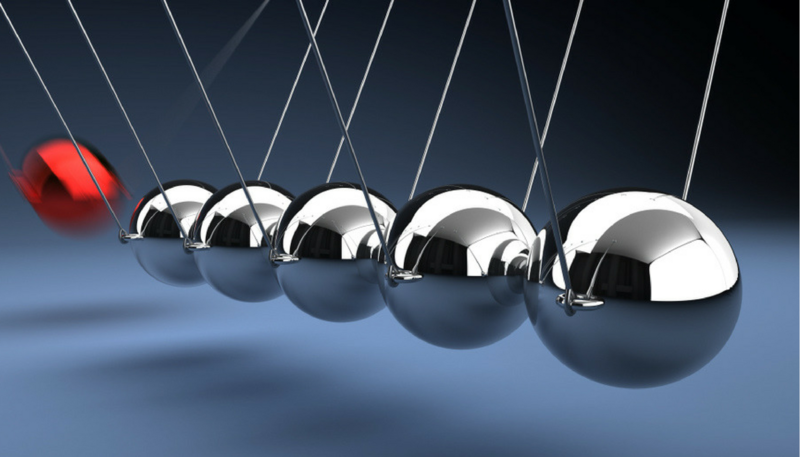 While founders and investors are aligned in their desire for a company to grow and prosper, we observe that they often have very different views on time horizons and liquidity. ‍Sarbox and other regulations may not have made it impossible for a respectable size company to go public, but the associated tedia (aka “brain damage”), pre and post IPO, has definitely made going public a less attractive option for the founders. ‍The presence of a massive amount of very late stage capital has created an alternative funding source for even the largest of private companies, and rampant competition among late stage investors frequently has made it difficult for them to negotiate for terms that would, for instance, call for an IPO or provide for another form of liquidity for investors within a certain period of time. At this point this horse is long out of the barn. 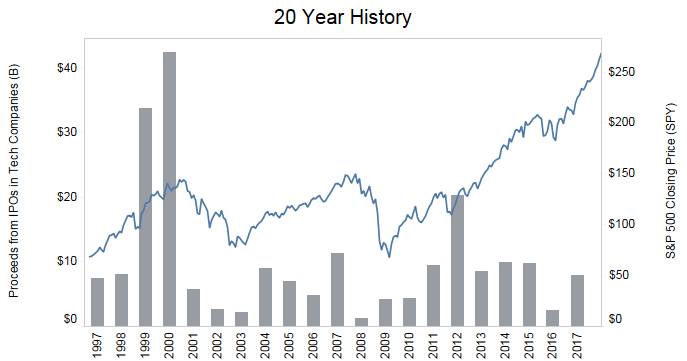 The fact that many of the iconic private companies of this cycle are legitimately great companies and that early investors have huge embedded gains takes some of the sting out of it, but ultimately 10-year funds need liquidity, preferably before year 10. This topic deserves more discussion within the industry. And for those who manage portfolios of venture funds, explicit consideration during the portfolio construction process.